V.B.5.a. (3) – Specify a planting density of one foot on center. 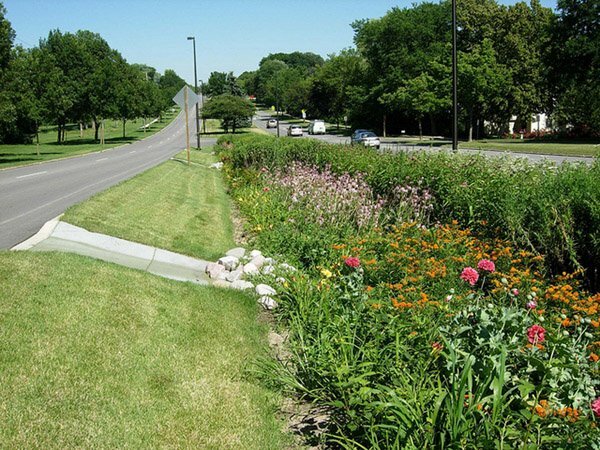 Dane County recommended this change, because consultants were trying to save money by spacing the plants too far apart. V.B.5.b. – Allow Class II erosion control mats to be substituted for shredded hardwood mulch or chips. Dane County recommended this change, because the wood chips float away when submerged. V.B.6.d. (5) – Increase the acceptable pH range of the soil mix from between 5.5 and 6.5 to between 5.5 and 8.0. Jame (Sandy) Syburg with Purple Cow Organics, LLC in Oconomowoc, WI suggested the pH change. V.B.6.c. – Decrease the depth of the engineered soil mix from 3 feet to 2 feet. This change was prompted by the results of research conducted in Neenah, WI by the Department and our many partners, such as the USGS and McMahon Engineers and Architects. 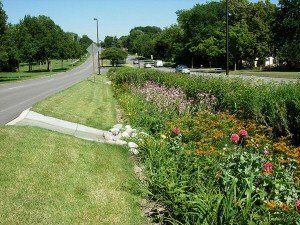 The final published standard can be found at: http://dnr.wi.gov/topic/stormwater/standards/postconst_standards.html.